Be the first to hear about their new releases and deals. Download the Booksprout app and search for Tom Wascoe today! Tom Wascoe was born in Milwaukee, Wisconsin and lives with his wife in the Chicago area. 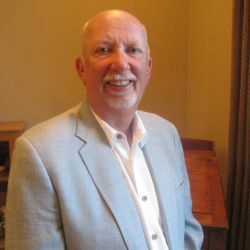 He served in the U.S. Army in Vietnam, graduated with a M.B.A. from the University of Wisconsin System, and served as the Senior Vice President of Human Resources and a Corporate Officer for a Fortune 100 Company. His previous book is titled Backseat.